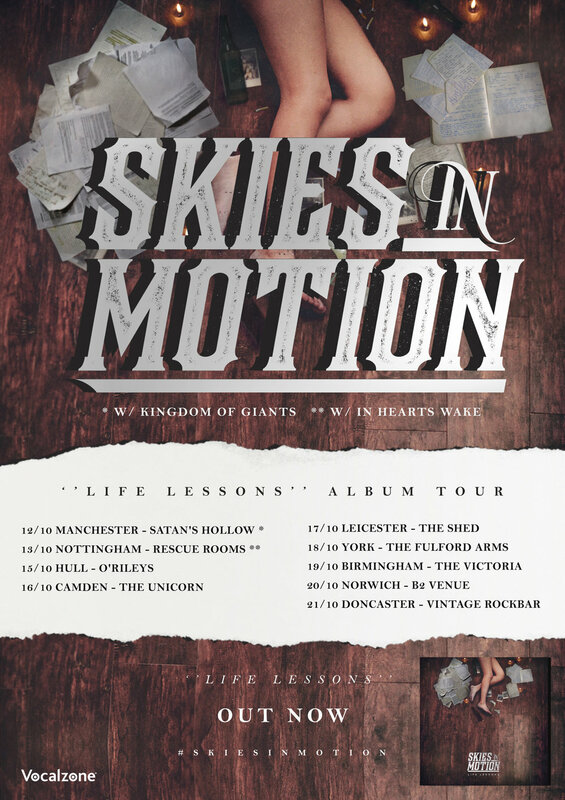 Metal outfit SKIES IN MOTION have released a live footage video, a taste of their hard-hitting performance as they prepare to hit the road in October. The forthcoming live run includes headline dates as well as one-off shows supporting Kingdom Of Giants and In Hearts Wake. With a brutal and raw tenacity, Skies In Motion combine chugging riffs with glorious breakdowns, taking example from some of the greats including the likes of While She Sleeps and Architects. Their choruses are absolutely staggering, underpinned with furious guitars and a killer groove whilst the energy they create is charged with positivity and hope, a recurring theme throughout the course of the album.